If you’re considering elder care in Memphis for an aging loved one with dementia, you may have heard of gerontology. This field of study is closely related to hospice care and assisted living. Watch this video to gain an understanding of gerontology. Gerontology studies aging at both individual and population levels. This interdisciplinary field uses information taken from biology, public policy, humanities, economics, psychology, sociology, public health, and more. It looks at how aging and society affect one another, how disease patterns affect health and aging, and how aging can influence policy. Gerontology does not study the clinical and medical aspect of aging. If a senior member of your family is receiving end-of-life care in Memphis, you may be wondering how to speak to their grandchildren about the situation. While concealing the nature of a loved one’s illness and passing may seem like it would be beneficial for children, experts agree that not speaking to children clearly about their grandparent’s end-of-life care can cause them to feel frightened and confused. Losing a family member is difficult for both you and your children. You may find it challenging to speak openly with children about your parent’s hospice care, but doing so can make the process easier for everyone. It’s recommended that you introduce the idea of death while the grandparent is still ailing, instead of after his passing. You can begin the conversation by talking about the loss of a pet, or simply use a dead plant or insect as an example. By explaining that death means the end of life and that every living creature passes on one day, you can present the concept in a way that is easier for children to understand. Remember to keep words and descriptions simple, and to not go into detail about your parent’s particular illness. Your child will probably have questions about their grandparent’s hospice care. Try to answer inquiries directly, and without displaying too much grief or emotion. Experts advise that you give your child simple but honest responses to their questions, and to avoid telling them fairy tales. It’s okay to say that you don’t know all of the answers to their questions, rather than confuse them about the nature of death. 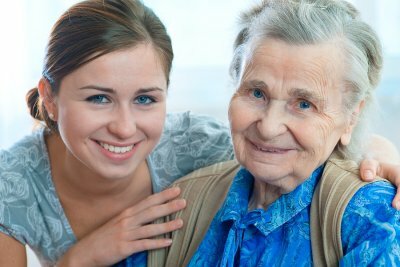 Depending on your particular situation and the health of your elder loved one, you should allow your children to spend as much time with their grandparent as they would like. After talking to them about death, they may be scared to see their grandparent initially, but short visits can help ease their fears and allow them to better cope with the loss of their loved one. Elder care affects the whole family, but women in particular tend to carry a large part of the burden. If you are contemplating issues surrounding elder care in Memphis for a loved one in your family, this video offers some insight into the impact of the issue on women. Women tend to take the lead when it comes to elder care for loved ones because of the roles that women traditionally play in families. This can leave women carrying a great deal of the responsibility at the expense of their own well-being. If a woman in your family is devoting her time to acting as a caregiver, consider contacting a home health aide to help shoulder some of the work and give your family member time to care for herself and her own needs. A mistake many people make when a loved one is transitioning to home care is assuming that once he or she is home that everything will be normal. In reality, your loved one is likely to have care needs that you are not accustomed to, and failing to plan for them can cause frustration. Consulting with a caregiving agency in Memphis as well as your loved one’s care team can help you determine a plan for providing the necessary assisted living services and identifying goals to encourage your loved one’s recovery. Goals for the transition to home care can include things like increasing your loved one’s ability to walk around the block one more time each week or completing a set of daily exercises recommended by a physical therapist. 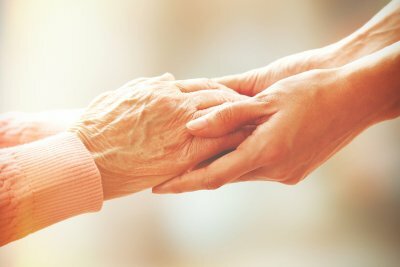 The exact nature of the goals depend on your loved one’s condition, but having a recovery plan in place can prevent the need for your loved one to return to a care facility. Be sure that your in-home caregiver understands these goals as well so he or she can incorporate them into the assisted living and home health care plan as needed. Because of the damaging effects of stroke, many patients spend a period of time in an in-patient rehab facility in the period immediately following the incident. Eventually, most patients will transition out of the rehab facility and back to home. Although you may welcome the opportunity to have your loved one home again, it is important to plan carefully to make the transition as easy as possible. Hiring an in-home caregiver in Memphis to assist with transitional care can be enormously helpful. These tips will help you prepare for this new kind of care as well. Although your loved one is leaving the rehab facility, he or she likely still needs to be engaged in a treatment plan. Decide on a set of short-term and long-term goals to help your loved one get stronger, and learn strategies you can use at home to support the progress. Physical, occupational, and speech therapy may be needed on an outpatient basis, so determine a schedule and find out if there are any exercises you should be doing between appointments. Make sure your in-home caregiver also understands these goals and how to help your loved one meet them. The rehab center staff can explain to you the kind of care your loved one will need and offer advice about preparing your home for the transition. For instance, you may need to set up a bedroom downstairs for your loved one or remove trip hazards from walking paths through the home. The earlier you start preparing your home, the easier your job as caregiver will be and the safer your home will be for your loved one. During the transition, you will need help. Recognize that asking for help when you need it makes you a better caregiver. Explore your options, from having a family member take over care one day per week so you can do errands to hiring an in-home caregiver for assisted living services. Arranging help before your loved one returns home can ensure a smoother transition.